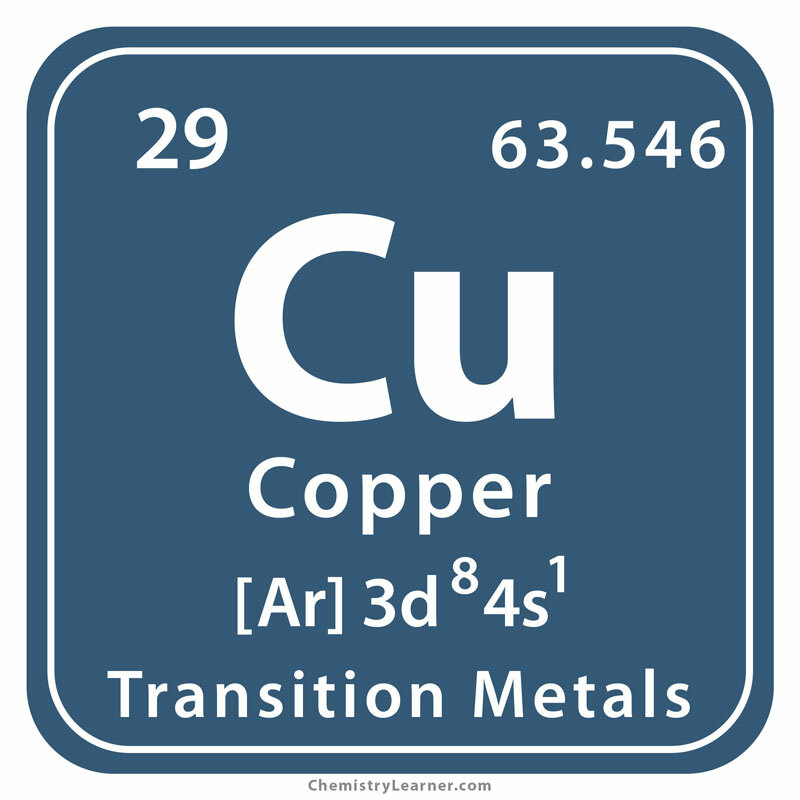 Copper (pronunciation KOP-er ), represented by the chemical symbol or formula Cu , is a soft, malleable and ductile element belonging to the family of transition metals [3, 4, 7]. 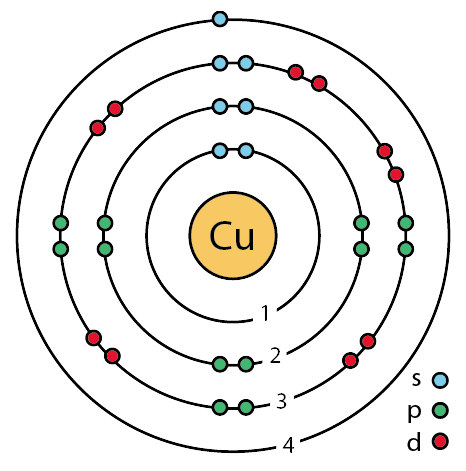 Naturally, occurring Cu is a mixture of 2 stable isotopes with mass numbers 63 and 65 [1, 3]. Besides that, it has 24 synthetic, radioactive isotopes with known half-lives . Under normal conditions, it is stable in air, but in red-hot condition, it reacts with oxygen to form its oxide. It also reacts with halogens and acids . 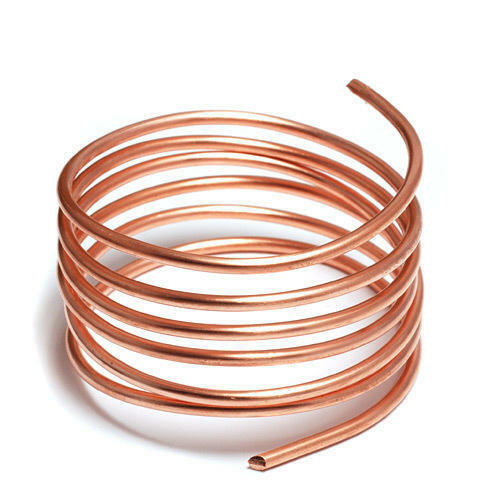 The metal rarely occurs freely in nature. Its principal ores are minerals such as bornite and chalcopyrite. 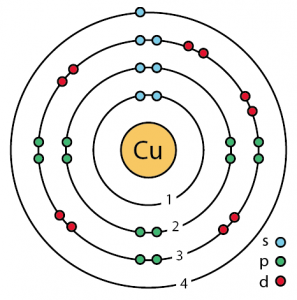 Cu is isolated from these ores by smelting, leaching and electrolysis [1, 3]. Origin of Its Name: The name is derived from its old English name ‘coper’ that is in turn derived from the Latin words ‘Cyprium aes’ that means a metal from Cyprus . 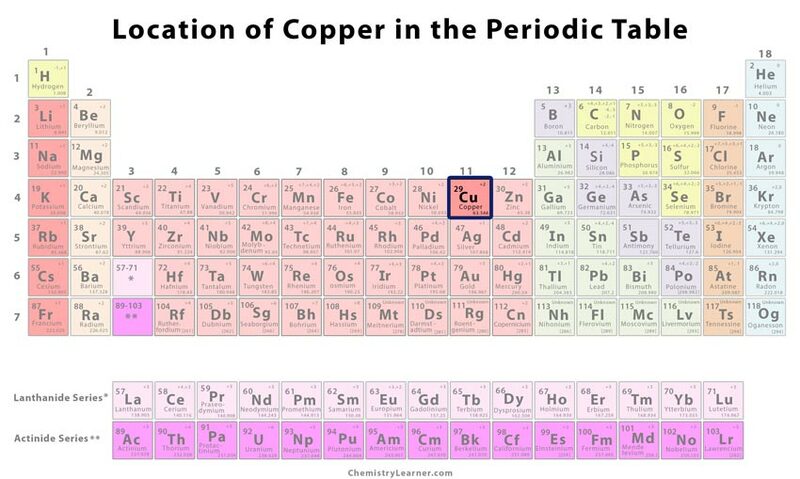 Who Discovered Copper: Unknown . When Was It Discovered: In prehistoric times . Historically, Cu was the first metal to be worked by humans. 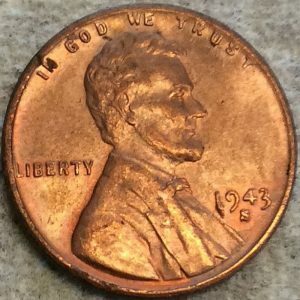 The discovery that it could be hardened by the addition of tin to form the alloy bronze led to the naming of the Bronze Age when it was used in making coins, cutlery and tools. 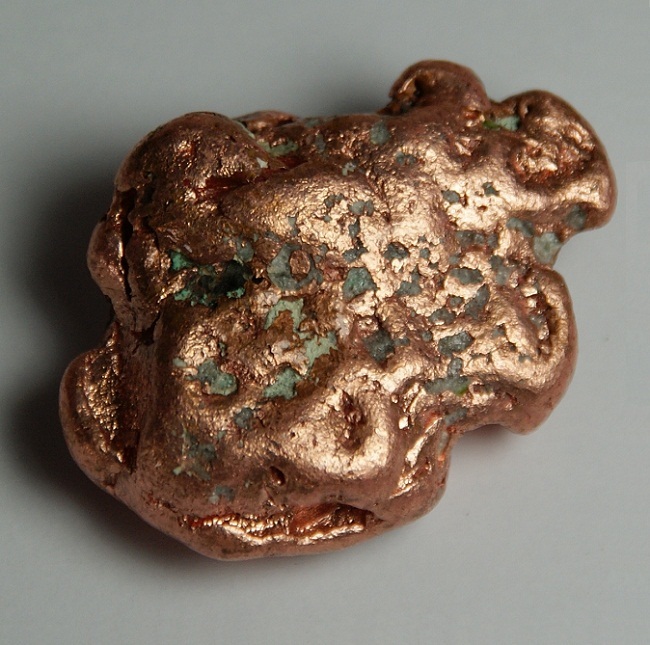 Copper beads excavated from northern Iraq were found to be more than ten thousand years old . Commonly used for making coins . For electrical equipment such as motors and wiring due to its high electrical and thermal conductivity . For construction purposes (like plumbing and roofing) and industrial machinery (like heat exchangers) . Copper sulfate finds wide application as an agricultural poison and algaecide in water purification . Copper compounds, for example, Fehling’s solution, are used in chemical tests that detect sugar . Though the element is essential to all plants and animals, excess amounts are toxic. Cooking acidic food in copper utensils can cause poisoning. 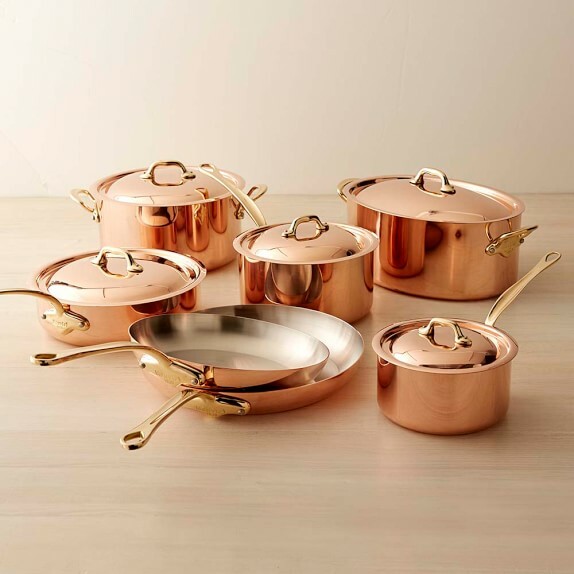 That is why copper cookware should be lined to prevent the ingestion of dangerous verdigris (compounds formed by copper corrosion). 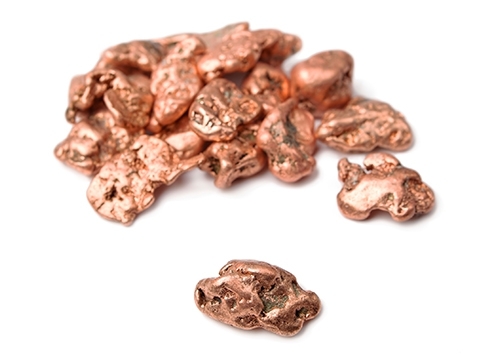 An adult human being needs around 1.2 milligrams of copper daily [1, 3]. You can prevent copper deficiency by taking foods high in copper such as whole grains, nuts, beans, potatoes, oysters and other shellfish . 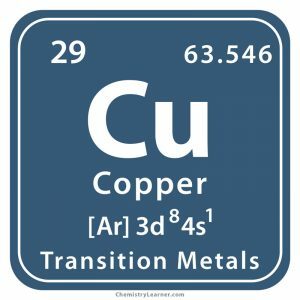 Unlike human beings that use the iron present in blood hemoglobin to transfer oxygen in their bodies, some crustaceans use copper complexes . The surface of copper, when left exposed to air, gradually tarnishes to a dull, brownish color . The pure metal is priced at $9.76 for every 100 gram and in bulk, the same quantity is worth $0.66 .